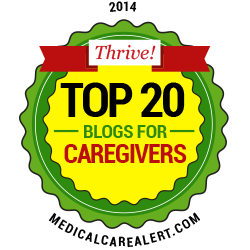 What Should I Look for in an Alzheimer’s Care Facility? Families of persons who have been diagnosed with Alzheimer's disease or a related dementia will be somewhat relieved to learn that more and more assisted living for memory care facilities have become available in recent years. For so long, the illness was simply diagnosed as senile dementia in seniors and left to progress as a natural part of aging. Today, many seniors are able to live in assisted living facilities specifically designed for those with memory impairment. For many, caring for a loved one with progressed dementia is not a viable option in the home setting and a good alternative is an Alzheimer's care facility. Similar to an assisted living community, a legitimate dementia facility will have the same or expanded licensing requirements through their state governing body. Full-time, 24-hour staff of dementia specifically trained care givers is required in the facility. Some also have the oversight of licensed nurses and visiting physicians. Many contract services for an added medical benefit from home health and/or hospice companies. It is advisable to research the licensure requirements of each state to confirm that a facility meets these requirements. With licensing requirements have been established, several facilities located near the family should be reviewed and visited to find the best community meeting the families needs. With an understanding of staffing requirements, know that some states will structure personnel requirements based on the number of patients residing in the facility. The staff should have the states required training in caring for Alzheimer's patients. An attitude of compassion and kindness should be present amongst all of the staff. Because some Alzheimer's patients can display episodes of frustration, the staff should also know how to redirect to change the current behavior. Many times the family has experienced behavioral challenges with their loved one and they begin to realize that their family member would be better cared for in a dementia facility, where staff is trained to handle difficult situations. Services will include personal care, assistance with activities of daily living - bathing, dressing, grooming, toileting, continence management, medication management and more. 24-hour staff is on site to provide such supervision. Patients are also offered 3 meals per day, snacks and hydration. Housekeeping, laundry and maintenance services are provided. Daily programming through a scheduled activities program helps to manage behaviors and offer a daily routine, enhancing quality of life. It is vital that a robust and diverse social program be in place to help patients retain as much social contact and busy activity as possible. Entertainment, games and exercise should be part of the social programming. Along with these activities, visits and continued relationships from family members are important to the Alzheimer's patient. With this information, the preference for selection will be a family decision after visits to qualified Alzheimer's care facilities have been accomplished. You should also engage your physician in the decision making process. For more information about senior housing communities in the Southeast and Pennsylvania, please visit www.slm.net. Senior Living Management Corp and its affiliates (SLM) operate and develop assisted living facilities throughout the Southeast and Pennsylvania.